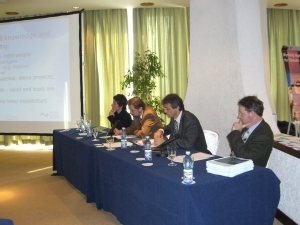 The Final Seminar of the UNDP/GEF Danube Regional Project (DRP) took place on 21-22 February 2007 in Bucharest, Romania. 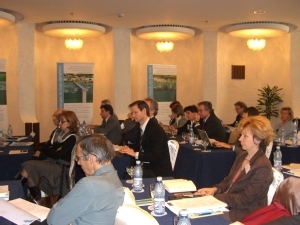 Participants included representatives from Danube country ministries of water, the International Commission for the Protection of the Danube River (ICPDR) including its Heads of Delegations and Expert Groups, Black Sea Commission (BSC), Black Sea Ecosystem Recovery Regional Project (BSERP ), Sava River Basin Commission, European Commission, Global Environmental Facility (GEF), United Nations Development Programme (UNDP), World Bank, Danube Environmental Forum (DEF) and other international organizations. The Seminar began with an overview of the key political decisions made and their results related to Danube integrated river basin management (IRBM) over the last 15 years. This included the development of new programmes, institutions and the Danube River Protection Convention, as well environmental progress, especially through the cooperative efforts of UNDP/GEF, Danube countries, EU, ICPDR and Danube NGOs. 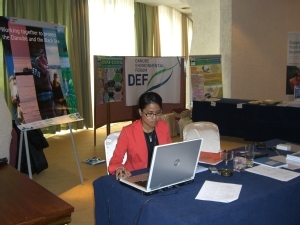 UNDP/GEF activities in the basin began in 1991, evolving to become the DRP 10 years later. 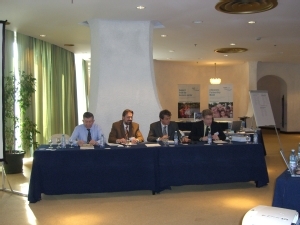 Approved in 2001, the DRP became part of the larger USD 95 million 'GEF Strategic Partnership for Nutrient Reduction in the Danube/Black Sea Basin'. One of GEF's largest and perhaps most ambitious water-related projects in the world, its long-term objective was for countries to reduce nutrient and toxic pollution to permit Black Sea ecosystem recovery. The Partnership includes two components beyond the DRP. 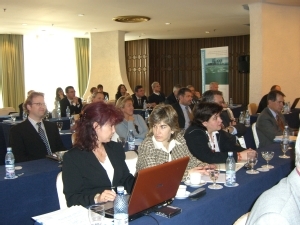 The second is the BSERP for the six Black Sea littoral countries. The third is the 'Investment Fund for Nutrient Reduction' implemented by the World Bank, geared to supporting single-country investment projects for nutrient reduction and wetland and floodplain restoration. The key goal of Day 1 was to present to key stakeholders within and beyond the Danube River Basin the DRP's main outputs and achievements related to its original goals of pollution reduction and strengthening transboundary cooperation. These were organized under six 'key themes'. Achievements made under each theme were reported by DRP staff and then followed by responses from Danube countries, the ICPDR and NGOs, focusing on how they benefited. The first theme was IRBM, a requirement of the DRPC and WFD. Examples of DRP successes included support for the preparation of the 'Danube River Basin Analysis' for the WFD, enhancing technological tools such as the Danube monitoring network and GIS system and assisting efforts in the Danube's Sava, Tisza and Prut sub-river basins. Theme 2 focused on the excellent progress made in reducing nutrient and toxic pollution through the application of 'best agricultural practices (BAPs)' on farms. Theme 3, Industrial Activities, related the story about how the DRP helped push the urgency of reducing phosphate pollution from cleaning detergents, as well as strengthening the capacity of managers of wastewater treatment plants to plan and implement crucial financial decisions and infrastructural improvements. It also encouraged industrial pollution control through 'best available technologies (BAT)'. Under Theme 4, sub-projects were highlighted that had begun to encourage river basin and wetland managers to incorporate the beneficial functions of wetlands, such as nutrient retention and flood mitigation, into their daily planning efforts. Theme 5 presented numerous successes in public participation and awareness raising, the largest component of the DRP in terms of financial support. Highlights included USD 2 million given to 130 projects carried out by NGOs through its Small Grants Programme which supported DRP efforts in its other key themes, especially agriculture and wetlands. 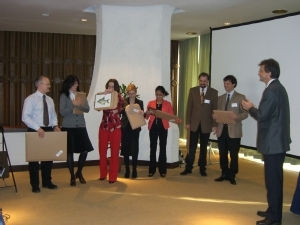 Finally, Theme 6, Institutional Strengthening, illustrated the benefits of having supported the ICPDR, cooperation between the ICPDR and BSC and the Danube Environmental Forum (DEF) -- the largest network of NGOs in the basin. 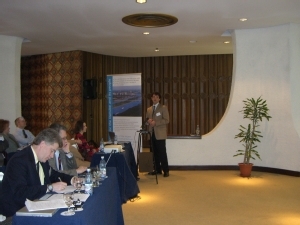 The main goal for the first part of Day 2 was to receive stakeholder input into how DRP efforts could be sustained into the future, primarily for the purpose of assisting Danube countries, the ICPDR and Danube NGOs in developing and implementing their 'Danube River Basin Management Plan' - an obligation required to meet the European Union's Water Framework Directive (WFD) by 2015. Three key topics were targeted including nutrient management, financing wastewater treatment and sustaining ICPDR efforts. The first step was expert presentations made to all participants. Participants then separated into working groups for each topic, followed by reports made back to the plenary by group facilitators. At the Seminar's end, a key point of discussion was the environmental progress currently being observed in Black Sea waters. "We are now witnessing the first reversal of a dead zone of oxygen depletion ever achieved on earth," said the UNDP's Andy Hudson. Having cooperated in numerous joint efforts, it was clear that the UNDP/GEF, ICPDR, EC and Danube countries should take some credit for the remarkable early signs of recovery. Danube countries are also on track in meeting their EU WFD requirements. 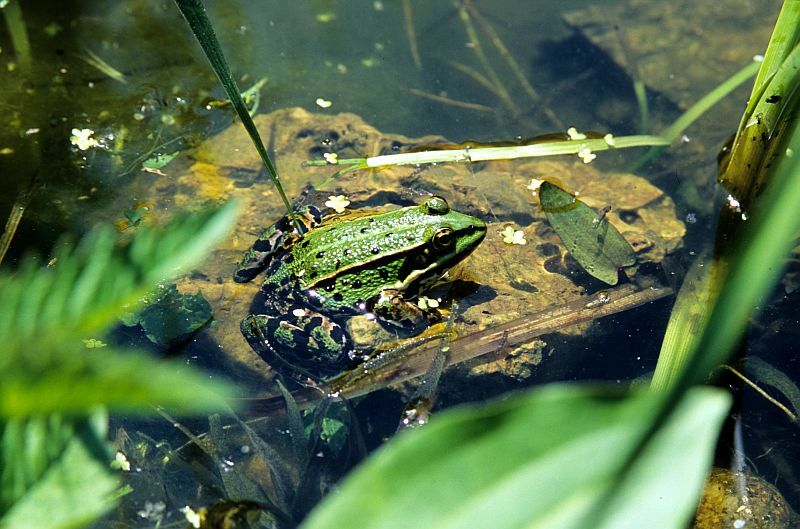 This includes developing the Danube River Basin Management Plan by 2009, with the hope that by 2015, Danube waters meet WFD requirements including good ecological status. "The DRP was an important fertilizer for our future work," says Fritz Holzwarth, Head of the German Delegation. "It generated a common spirit to work together. But not everything is settled yet." Remaining issues include the possibility of more water pollution through increased fertiliser and pesticide use by farmers as national economies improve. Climate change is another future challenge. "The ecosystem is still on a knife-edge and could revert back to its old problems," says Bill Parr. 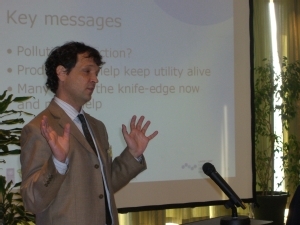 "Huge improvements are still needed for wastewater treatment." In response, the ICPDR emphasized the importance of sustaining the use and application of many of the valuable recommendations, tools and outputs produced through the DRP, from making farmers more aware of BAPs throughout the region to phasing out phosphates in cleaning detergents. "We will need to build on the important work already done by the DRP in these areas," said Philip Weller, Executive Secretary of the ICPDR. The good news is that UNDP/GEF will not disappear from the Danube and Black Sea with the end of the DRP. "Future GEF steps include continued support for the Tisza sub-basin and Dnieper Basin, the second largest contributor to the Black Sea after the Danube," says Hudson. "We'll also be actively replicating our experiences from the Danube globally to other river basins where we work. The world has much to learn from the Danube."